With many years of experience in the Photography industry, 007Image provides a range of photography services to its clients. 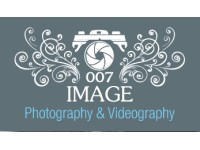 007Image are the premier suppliers of photography services in Kingston Upon Hull, the East Riding and they also have an expanding customer base both nationally and internationally. With expert staff helping clients from the first consultation stage, to the shoot and thereafter achieve the images as they so require. The 007Image team take extreme pride in the work they carry out whether it be a commercial product shoot, event photography, portraiture, or a wedding, as much of their work comes on recommendation alone. 007Image "listen" to the individual needs of their clients tailoring their shoot and packages to suit the clients requirements and of course budget. 007image can offer advice if required, however they still like to put the ball in your court so to speak to ensure they get the shoot and Images exactly as the client would want them. We used 007 entertainments as our wedding DJ. Despite calling them with our 1st dance song on the night of our wedding they didn't even have the song ready so we had to ask a friend to download our song on to their phone and plug it in to the system- not very professional and highly embarrassing for both parties. The DJ drank on the job and helped himself before our guests to the buffet ( massive portions) and when he did turn away from the buffet to provide the service we had paid for he kept putting medley music on and chavvy music so he could prop himself at the bar. As you can appreciate the music was not suitable for a wedding despite asking numerous times to turn off. After complaining about the shoddy service, the company owner apologised about this, told us he had fired the DJ and offered one free DJ service when ever we wanted on ... needless to say when we did require a DJ our emails where ignored, phones were blocked and when we did get hold of him through a withheld number he informed us of a confirmation email would be sent... needless to say we have never got one! I would never recommend this company whatsoever! Have given a 1 star rating just because the actual images were of good quality, the service however was terrible. Had photo's taken in June and didn't receive the prints until October after a lot of hassle ringing the company who don't answer emails or phone messages. When I got the prints the standard was poor, on one of the photos my daughters head is about a millimetre away from the top so would be hard to put in a frame, and the mounted photograph which I thought would be in some sort of a frame had a white edge around it cutting off some of the bodies of two of my daughters friends. Very disappointing. professional, friendly service. made me and my fiance feel at ease straight away. had a fun and great time would highly recommend.